Collection of eight assorted paper posters used to promote performances at the Phillip Street Theatre, Sydney. Posters include 'The Importance of Being Oscar', 'A Wish is a Dream', 'Do You Mind', 'At It Again', 'Stop Press' designed by Brian Ford (1929-2013), 'Out on a Limb' and 'Beyond the Fringe'. The posters were made and used in Australia between 1961-1964. The Stop Press poster was designed by Brian Ford (1929-2013) who designed a series of posters for Phillip Street theatre including Hamlet, Duenna, Two to One, Bats, Cross Section and others. The designers and printers of the other posters are yet to be identified. 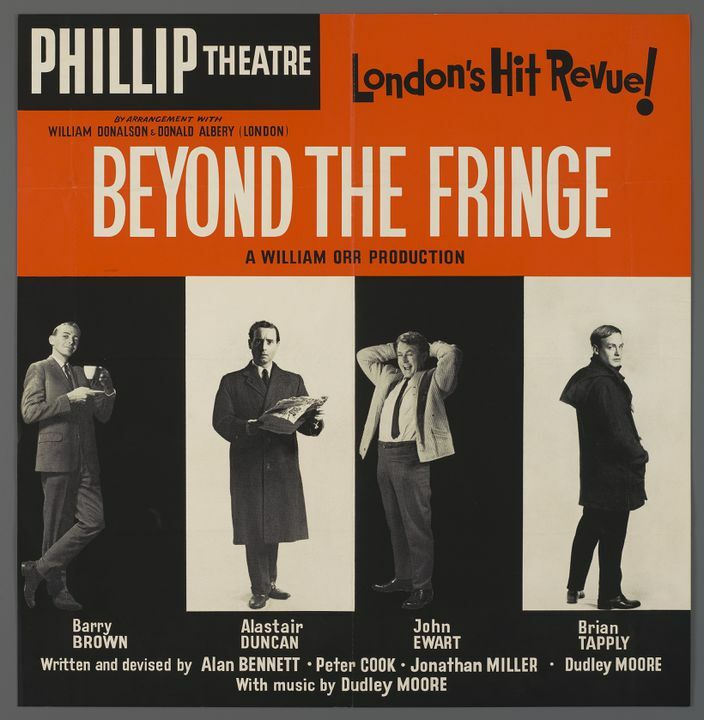 The posters were used by Phillip Street Theatre, Sydney, New South Wales, Australia between 1958-1964.